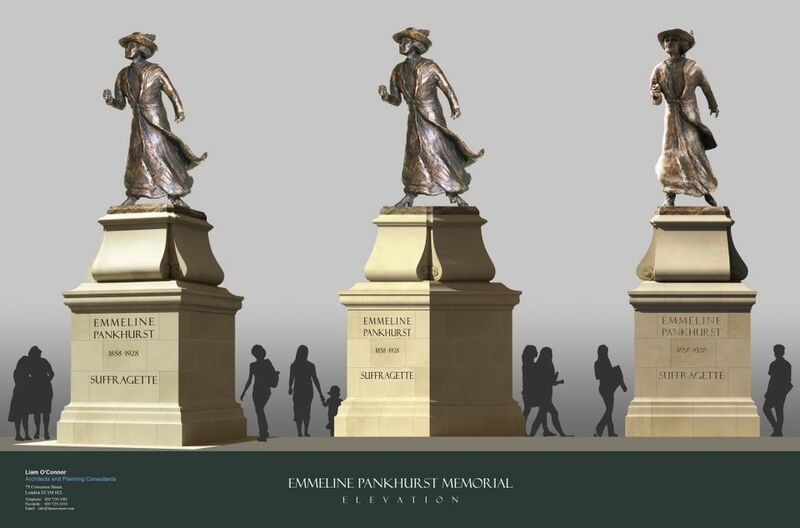 In the centenary of women’s suffrage in the UK, controversial plans are afoot to relocate the statue of the suffragette pioneer Emmeline Pankhurst from its site near the Houses of Parliament to the private Regent’s University based in Regent’s Park. The original reason for the move was to give the sculpture "a more prominent location", says Liam O’Connor, whose London-based architectural firm has been commissioned to oversee the relocation project. Initially the plan was to find a better spot in Parliament Square but "following analysis of the scale comparison with other [statues in the area] such as Lincoln and Canning, it was clear that such a small figure would be inappropriate in that location," he says. Under proposals drawn up by the non-profit Emmeline Pankhurst trust, the sculpture—which was made by Arthur George Walker in 1930 and stands in Victoria Tower Gardens near to the Houses of Parliament—would move to the forecourt of the central college campus. The new site was chosen because of the historical association of the suffragettes with Bedford College, which used to stand on the Regent’s University site. O’Connor applied to Westminster council for planning permission earlier this month, which involves the “dismantling of the statue at Victoria Tower Gardens and making good the ground on which it stands”. The gardens form part of a conservation area and are partly within a Unesco World Heritage Site. The decision is still pending. 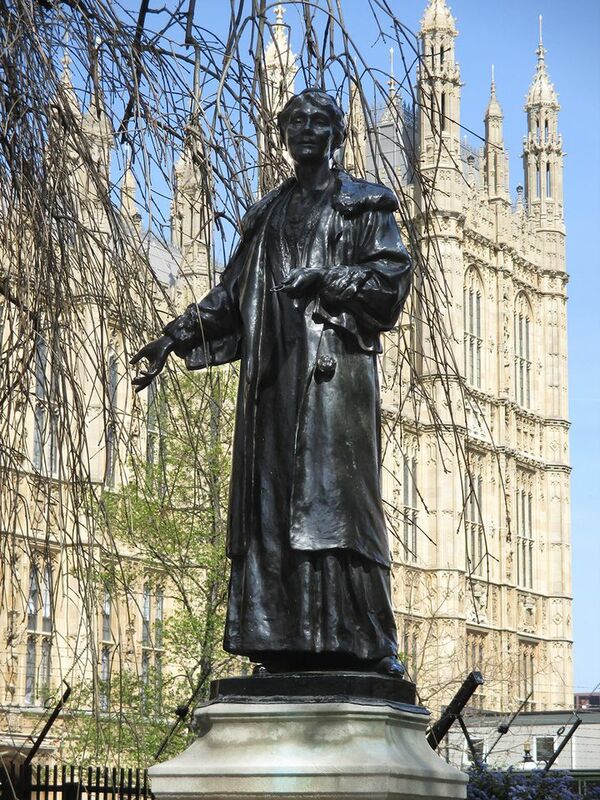 According to a heritage assessment statement submitted to Westminster council supporting the relocation “[the Pankhurst sculpture in Victoria Tower Gardens] makes a limited and neutral to positive contribution to the settings of the World Heritage Site” near Parliament. It adds that “the founders of Bedford College were pioneers in promoting higher education for women and many alumni went on to participate in the suffragette campaigns”. But some members of the public commenting on the proposals online are against the move. “The reasons given for moving it to Regent's University are wrong. Although it is true that many suffragettes and, for that matter suffragists, were pioneers in women's education, Emmeline herself was not, and she did not have any connection with Bedford College or tertiary education,” says one commentator. Another says: “It is outrageous that you are considering banishing the statue to Regent’s University, where very few members of the public will see it.” O’Connor says nonetheless that the relocated figure will have wider visibility and 24-hour access in the main entrance courtyard of Regent’s University. The former Conservative member of parliament, Neil Thorne, launched a campaign more than three years ago to erect a sculpture of Pankhurst, which was backed by the former prime minister David Cameron. According to the Daily Telegraph, Thorne’s wife, Sheila, noticed the existing statue of Pankhurst in Victoria Tower Gardens. The couple’s original plan was to move this sculpture to Brompton Cemetery in west London where Pankhurst is buried. This idea was scrapped, and the London-based artist Angela Conner was subsequently commissioned to make a new sculpture of Pankhurst for the Canning Green site near the Supreme Court by Parliament. Conner made a maquette of the piece, and told the Daily Mail last year: “There is a sense of commanding strength in the posture. Her figure is pushing against the wind undeflected in the journey to her final goal: votes for women.” Conner tells us that her sculpture is still due to go ahead. “Nothing has yet been refused; we’re waiting on a Westminster council committee,” she says. In the meantime, Gillian Wearing’s statue of the suffragist Millicent Fawcett was unveiled in Parliament Square in April, celebrating the centenary of female suffrage and the passing of the Representation of the People Act 1918, which gave some women the vote for the first time. Pankhurst, the co-founder of the Women’s Social and Political Union, was known for her militant methods including hunger strikes and violent protests. The sister campaigns petitioning for a prominent female figure—Pankhurst or Fawcett— to be installed near the Houses of Parliament explored the option of installing statues of both women in Canning Green though this plan was reportedly rejected by the Fawcett campaigners.